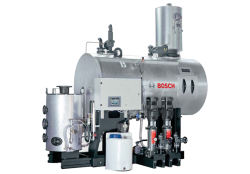 The module comprises the combination of the expansion and heat recovery module EHM with the blowdown, expansion and cooling module BEM. 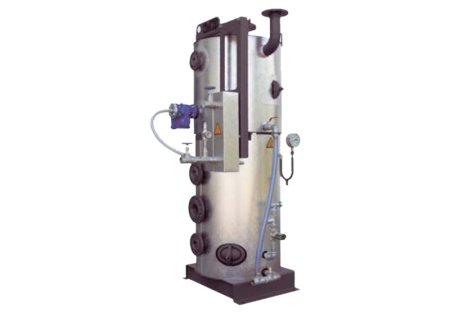 Its purpose is therefore the recovery of the energy contained within the hot water (waste water /condensate) and the discharge of waste water taking into account the permitted discharge temperature. The module consists of an expansion tank as well as a waste water and cooling tank. 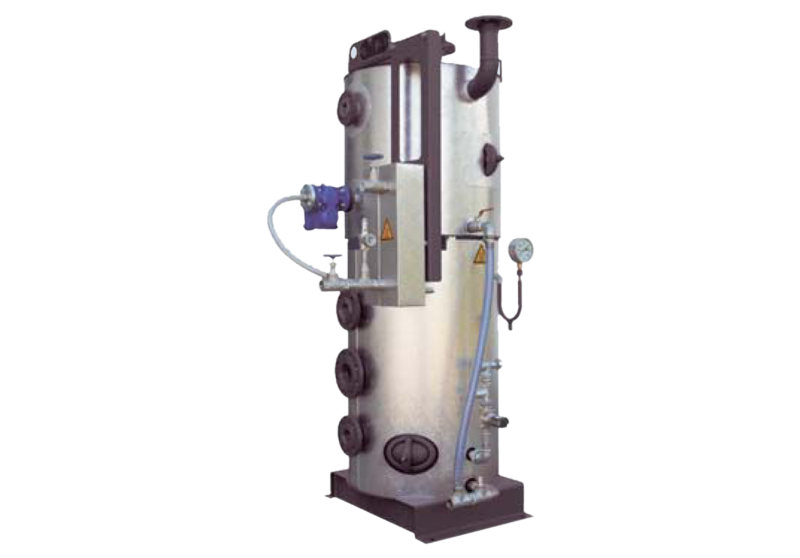 A heat exchanger with associated fittings is integrated for heat recovery. 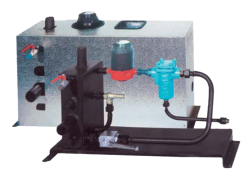 Two cylinders one above the other sealed off with blank plates at both ends, a pick-up station, all necessary fittings, the piping one below the other and thermal insulation are included in the scope of delivery and are offered ex works fully assembled.